My goodness this was such a mission!! Tedious stuff! But I have sworn to take care of my hair so I did it. Sticking to my weekly wash routine I washed my braids this morning. I wet my hair/braids with cold water. I took a bucket and put a reasonable amount of shampoo in it and diluted it with some warm water. I poured the diluted shampoo water through my braids and used my hands to massage the scalp taking care to not be too rough. Rinsed and repeated step 2&3. 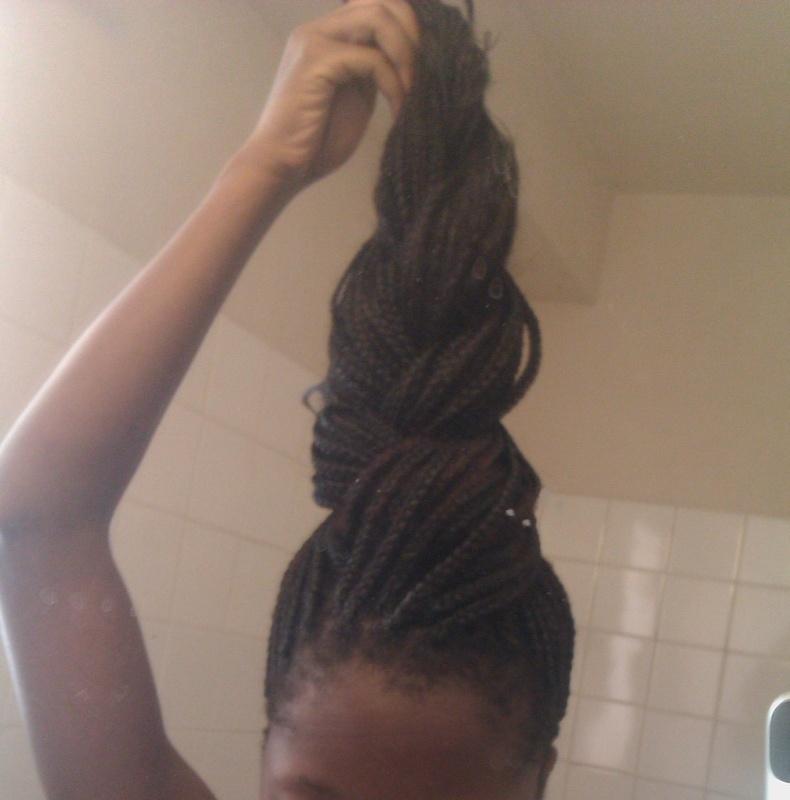 Dried my braids a little with a towel. Divided my braids into 3 sections and thoroughly rubbed conditioner from the root to the point where my hair stops in the braid section by section. 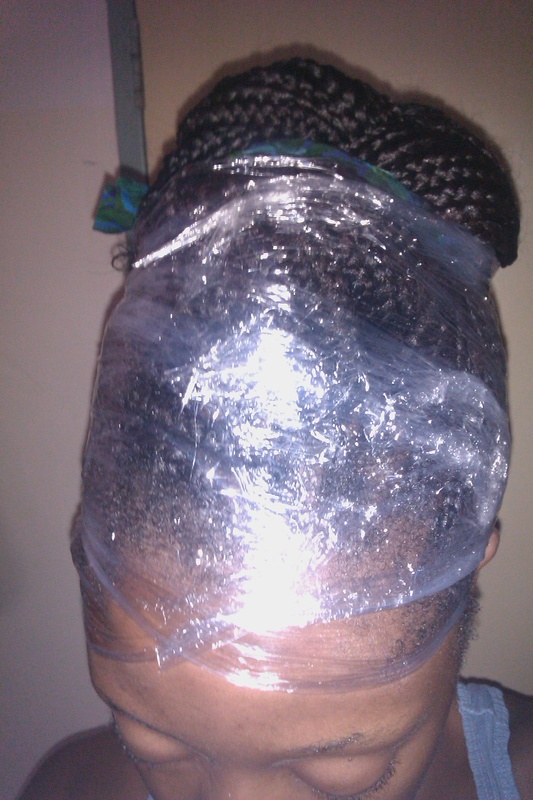 Then I tied it up, wrapped it with cling film (I don’t have a big enough shower cap so I had to improvise) at the base and let the conditioner sit for about an hour or so. 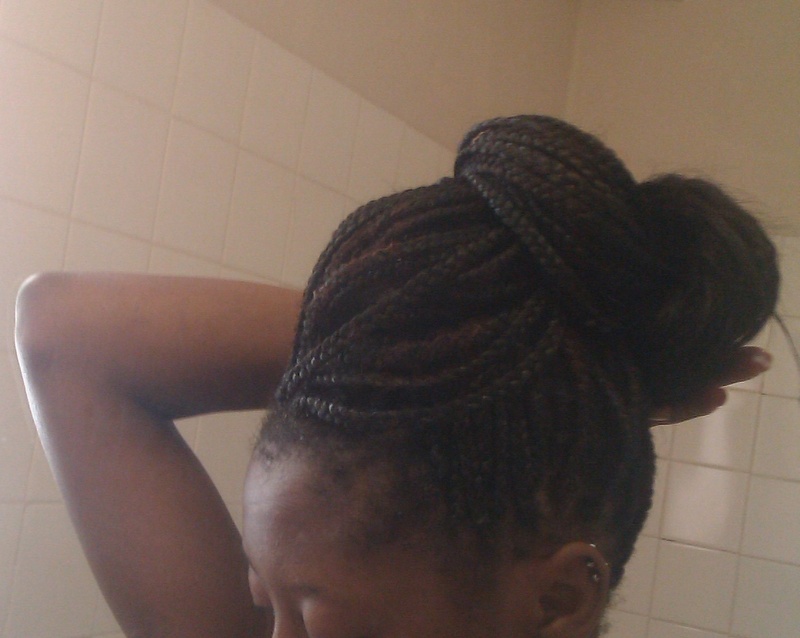 Unwrapped it, let my braids loose and rinsed with cold water. 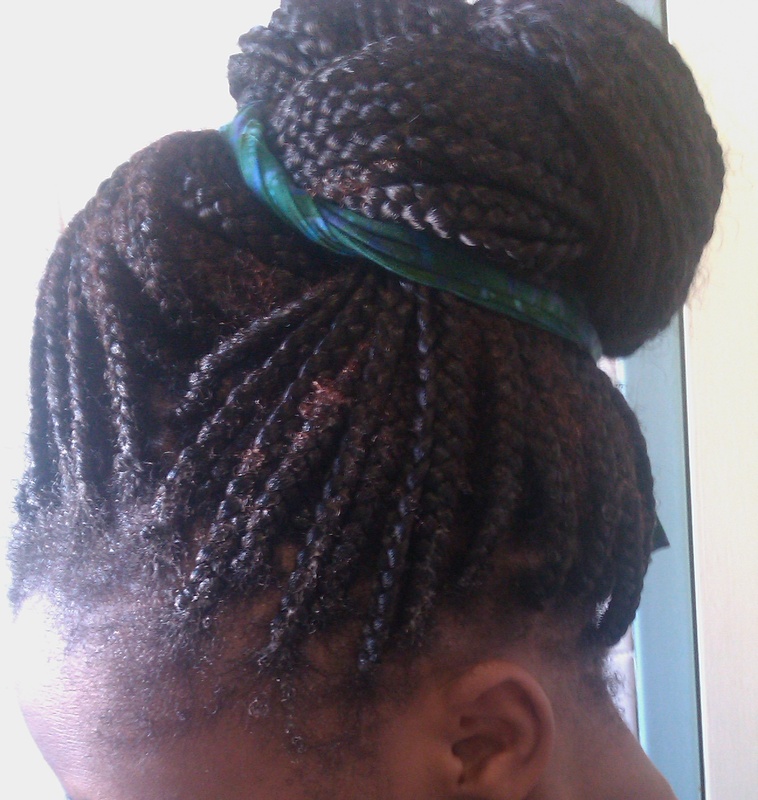 Towel dry and apply conditioner to scalp and spray braids. Since I dont have a hair dryer I have to air dry which will take FOREVER! Lol. The things I do for ma hurr. Then I tucked it in backwards…. and secured it in place with a strip of cloth. And I only wrapped the base of my braids in cling film, didn’t see the need to wrap the whole head because the conditioner only covered the base of my braids anyway. And that’s that! Next week, I’ll do it all again, sigh. Next Post The Turban and Afro-print head scarf takeover!